Mr. President, now that you have relieved General McChrystal of command of American and NATO forces in Afghanistan, a few things you might want to consider. Before that, though, I do want to say that I fully support your decision to accept General McChrystal's resignation. He clearly stepped over the line. See my earlier General McChrystal - what were you thinking? 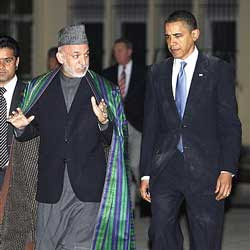 That said, his frustrations with the situation in Afghanistan needs to be addressed. Obviously, if a general of McChrystal's standing and experience voices the opinions reported in the Rolling Stone article, you have a problem within your national security team in general and your Afghanistan policy team in particular. The lack of judgment exhibited by General McChrystal is a symptom, not the disease. The disease is your policy and its execution. I think part of the policy problem is your confusion between the Taliban in Afghanistan, the Pakistani Taliban and al-Qa'idah, which is not in Afghanistan. Let's read some of your words from the statement you made when you announced your acceptance of General McChrystal's resignation. I have highlighted some phrases. "I have a responsibility to do what is — whatever is necessary to succeed in Afghanistan, and in our broader effort to disrupt, dismantle, and defeat al-Qa'idah. I believe that this mission demands unity of effort across our alliance and across my national security team. And I don’t think that we can sustain that unity of effort and achieve our objectives in Afghanistan without making this change. That, too, has guided my decision. "We have a clear goal. We are going to break the Taliban’s momentum. We are going to build Afghan capacity. We are going to relentlessly apply pressure on al-Qa'idah and its leadership, strengthening the ability of both Afghanistan and Pakistan to do the same. That’s the strategy that we agreed to last fall; that is the policy that we are carrying out, in Afghanistan and Pakistan." First, if your overarching goal is to "disrupt, dismantle and defeat al-Qa'idah," you have deployed upwards of 100,000 American troops where al-Qa'idah is not. Just what is the rationale for the huge increase in troop levels when the real enemy - al-Qa'idah - has left for other venues? They can be found in Pakistan, Yemen, North Africa and Somalia, and to a lesser extent, Saudi Arabia and Iraq where they have been almost eradicated. If you want to defeat al-Qa'idah, unleash American forces (military or CIA) on them where they are. I applaud your expansion of the use of drone-launched Hellfire missiles against al-Qa'idah and Taliban (both Afghan and Pakistani) targets in Pakistan, and the use of U.S. military strikes in Yemen - do more of that there and anywhere else you find al-Qa'idah targets. As I have been saying for years, this is the only way to deal with al-Qa'idah. You cannot negotiate with them, you cannot reason with them - they are committed to their cause. You must hunt them down and and kill them. I have been critical of many of your policies, so to be fair, I offer my compliments on the air strike efforts. See my earlier Legal Justification for Drone-Launched Missile Strikes, A sound Obama policy - missile strikes in Pakistan, and U.S. Air Strike in Yemen - kudos to President Obama. Probably your worst policy failure and most frustrating to any professional military officer is the arbitrary date that you have set for the beginning of the withdrawal of American forces from Afghanistan. All you have done is telegraph the victory date for the enemy - they know they must survive to that date and then launch their major assault. If they are smart, they will lay low until American forces depart and then seek to achieve their goals. Your hand-picked successor to General McChrystal, General David Petraeus, has had to "tap dance" when questioned by members of Congress. 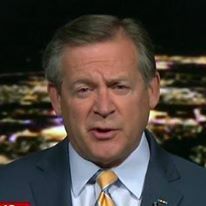 His remarks just a few weeks ago prefaced with the phrase "in a perfect world, Mr. Chairman, we have to be very careful with timeliness" were a weak attempt to reconcile a bad policy with his orders. Stand up to your left-wing base and side with the men and women you have put in harm's way. Start by reversing this gross error. Then there is the obvious problem with the civilian side of the team. I'll let you address that as best you can. Again, if General McChrystal was frustrated with the likes of Vice President Joe Biden, Ambassador Karl Eikenberry and your envoy Richard Holbrooke, there is a reason. Again, you need to treat the disease, not the symptoms. You have an opportunity to reevaluate and repair your Afghanistan policy with the naming of a new commander. Please take it.